Bonsai books with photo’s of well trained bonsai are an excellent source of inspiration. I have chosen these six books out of the many that I have because of their relevant content and beautiful pictures of some of the best bonsai in the world. 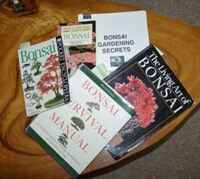 If these books don’t inspire you to grow bonsai then nothing will! 6 Bonsai books I own and recommend. A huge portion of my learning about bonsai as a beginner came from reading. Pictures of well trained bonsai are priceless when you are wanting to learn more about your own trees and how they should or could look over time. Finding books that have relevant and helpful guidance for any level of enthusiast is important. All of these books I have in my collection and have read cover to cover (some more that once) and I continually go back to them for inspiration and guidance with my own trees. It is surprising how many times I have gone back to a book to look something up and learnt or remember certain things that have helped improve my bonsai. 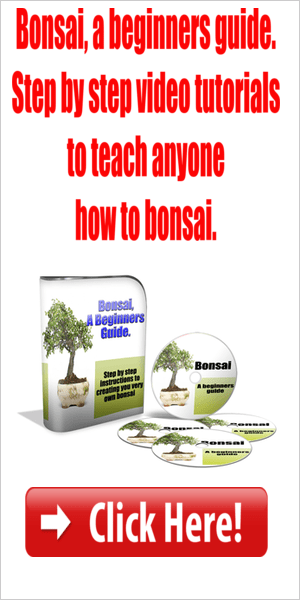 As you go through each stage of your learning, certain areas become more important to have an understanding of, and that is why having some of these books in your own collection would be of great benefit if you are serious about learning the art of Bonsai. This would have to be the most comprehensive book on the subject of bonsai available today. Deborah Koreshoff and Her Father Vitaliy Koreshoff are two of the most well respected bonsai artist in the world, and Deborah has put their combined years of knowledge and love of bonsai into this wonderful book. This book alone covers aspects of bonsai growing that you could only find in several other books combined, and probably not have it set out and explained as well as it is in Deborah’s book. If you only ever buy one bonsai book, make it this one and you wont regret it. A must have for any serious bonsai grower! Bonsai Survival Manual: Tree-by-Tree Guide to Buying, Maintaining, and Problem Solving. This book was recommended to me when I first began bonsai. A great source of information on individual species of bonsai. It outlines the conditions, soil type, light requirements and even pests and diseases that effect each variety. Always handy to have around as a quick reference guide. This book has around 150 colour photos in it of some of the best trees I’ve seen. The book is not very big but certainly covers many areas from the basics, like potting and positioning, to fertilising and watering of your bonsai. I like it mainly for the photos. Harry Tomlinson would have to be one of the leading experts in bonsai in the world. The Living Art of Bonsai: Principles & Techniques of Cultivation & Propagation. This book by Professor Amy Liang based more around the Chinese style of bonsai and the full page photos are magnificent, most of which I believe are from Amy’s own collection. A great book for those visual learners! This e-book I brought some years ago and would say it was one of the biggest eye openers for me when it comes to bonsai. going back to the rules set out in this book. Not a lot of photos, but a huge amount of great insider secrets.